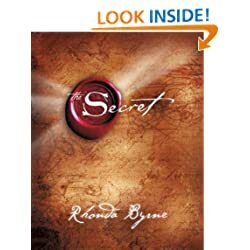 The Secret Please allow me to share with you how "The Secret" changed my life and in a very real and substantive way allowed me to overcome a severe crisis in my personal life. It is well known that the premise of "The Secret" is the science of attracting the things in life that you desire and need and in removing from your life those things that you don't want. Before finding this book, I knew nothing of these principles, the process of positive visualization, and had actually engaged in reckless behaviors to the point of endangering my own life and wellbeing.